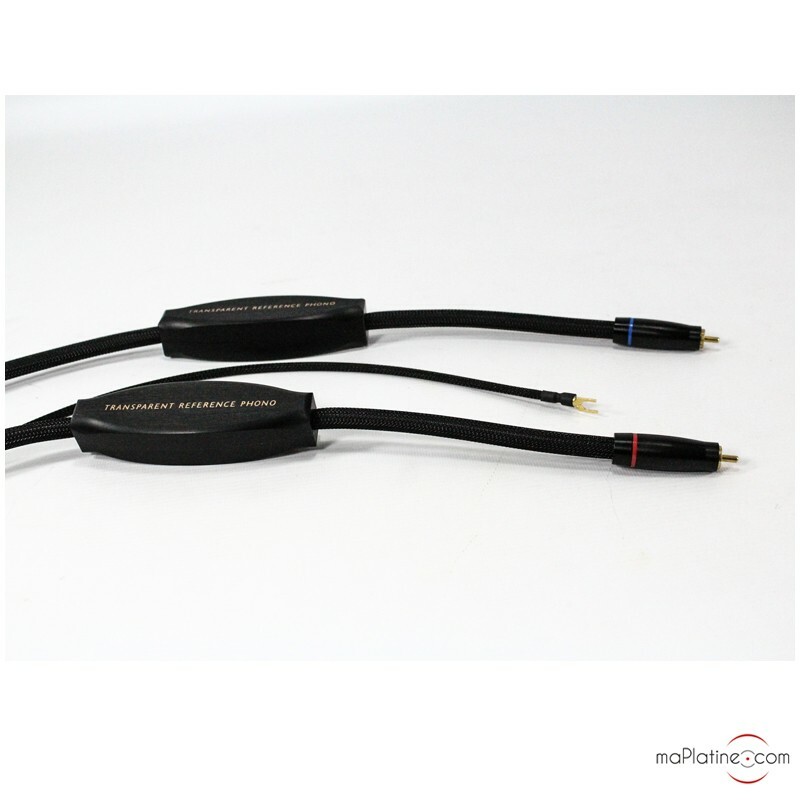 The Musiclink Reference Phono technology is derived from the prestigious MM2 models, though in this case, it is specifically designed to be used with turntable tonearms. It has a symmetrical design, meaning that it uses two high purity copper conductors for positive and negative signals alike. 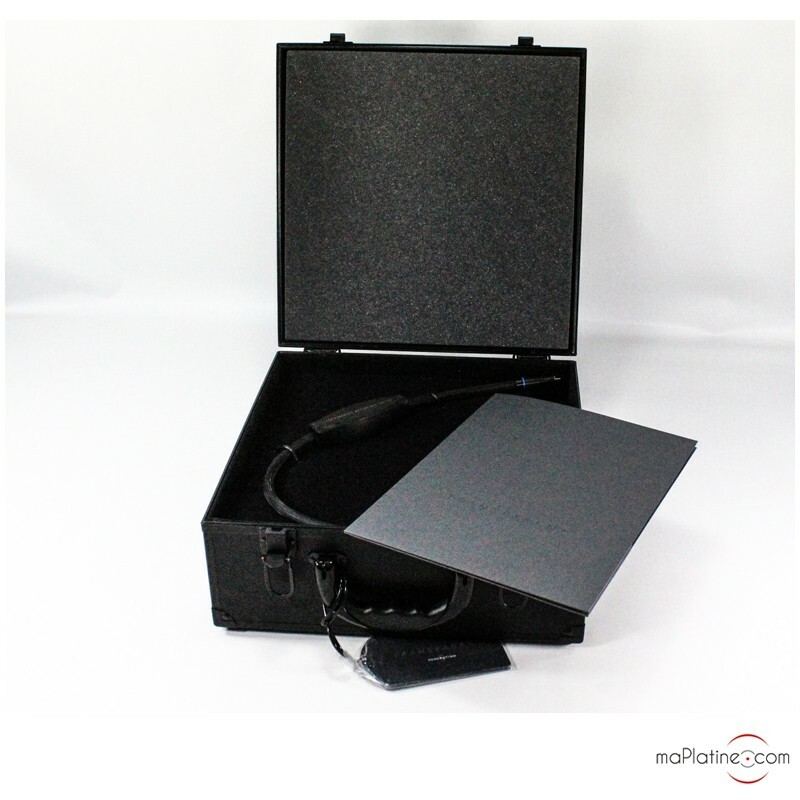 It has a floating shield which is made of an OFC copper braid and an aluminium foil shield. 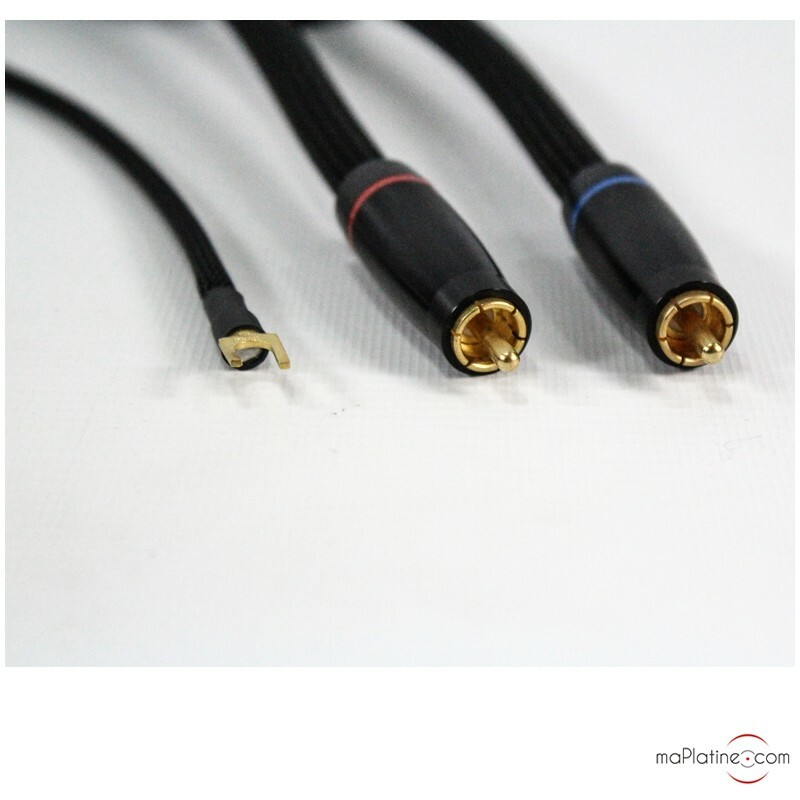 As with all the manufacturer's products, it features a 'Network' housing with damping and filtering properties, controlling and stabilising resistive, capacitive and induction effects of the conductors. It is more or less elaborate, efficient and impressive depending on the Musiclink quality level. 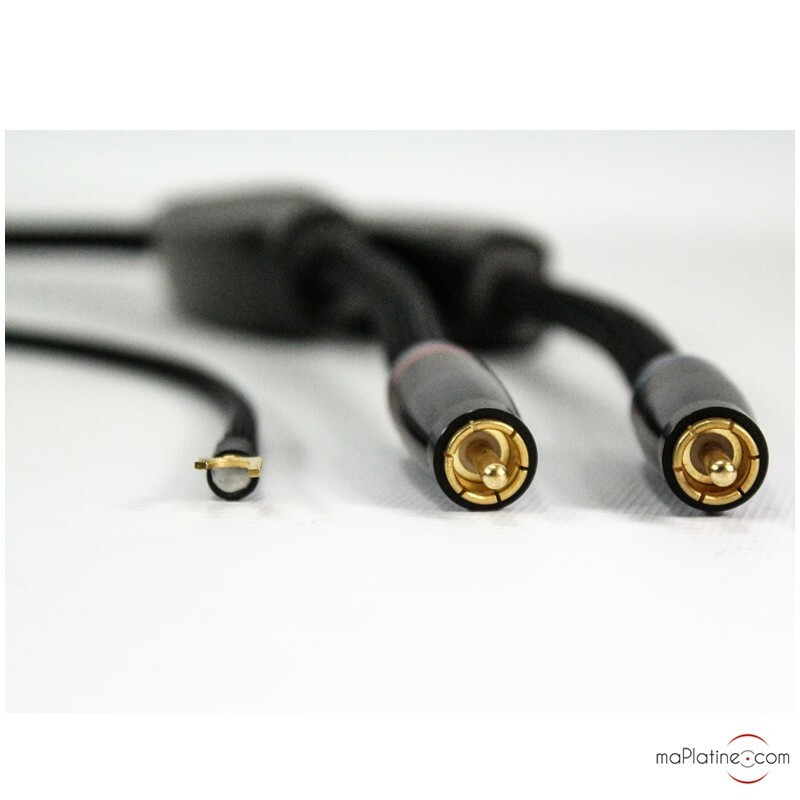 Transparent RCA terminations boast an amazing quality and their bayonet body allows for perfect contact with the socket. This cable makes the listening experience quite baffling. On our standard system, it literally elevates the sound quality, giving the music an incredible texture. It's as if we had changed our cartridge and turntable! It brings the listener a lot more closer to the musicians and instruments, with an impression that they are playing a lot faster. 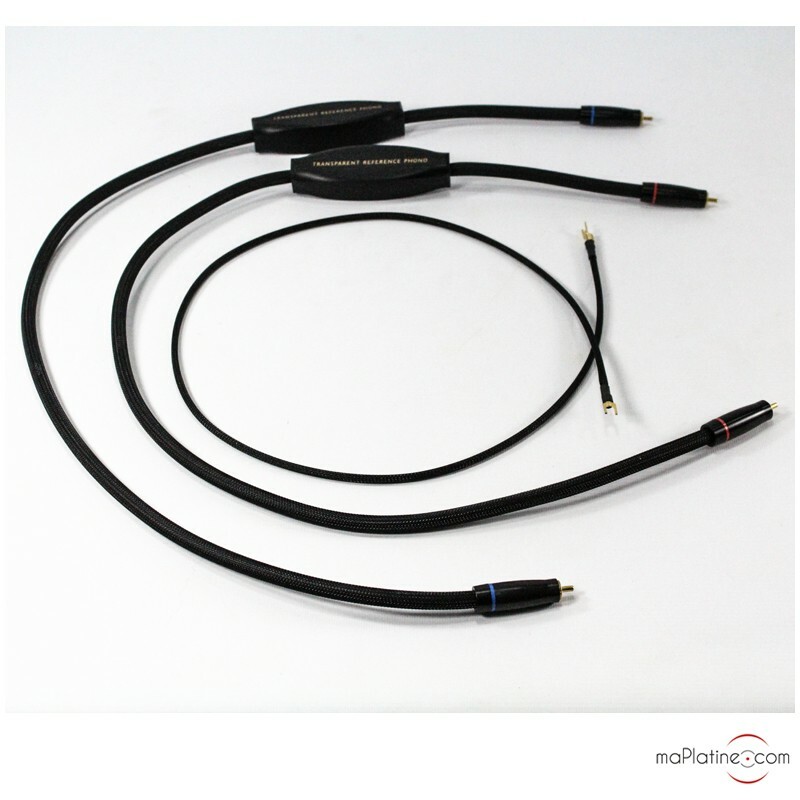 The sound stage is significantly wider than with competitor cables, and the instrument placement is also more precise. The bass and extreme bass are deep and vibrant and show no trailing, no doubt the best available to date... As with the brand's top products, the timbres are rich and neutral, giving a lot of texture to the vocals and string sections. The same applies to the top of the spectrum, which is precise, open and with no harshness whatsoever. The details are impressive, as it is not artificially enhanced by higher high mids. This cable can be considered as a benchmark in this range and beyond. Highly recommended!